Christopher Nolan on Interstellar science Jump to media player Director Christopher Nolan talks about the importance of accurate science in making his film Interstellar, after a leading scientific journal calls for it to be shown in school lessons. Stars glow at Interstellar premiere Jump to media player The stars of Christopher Nolan's much-anticipated Interstellar praise its "ambition" at the film's European premiere. 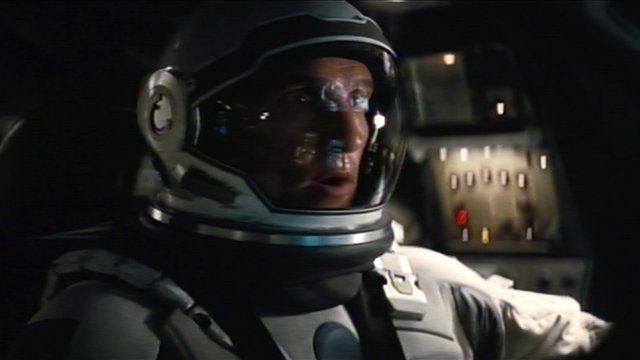 How we made the vfx of Interstellar Jump to media player The Oscar nominees behind the film Interstellar explain how they created some of the visual effects in the movie. A leading scientific journal has called for the film Interstellar to be shown in school science lessons. This follows a new insight into black holes as a result of producing the visual effects for the film. Experts have also confirmed that the portrayal of "wormholes" is scientifically accurate. The director of Interstellar, Christopher Nolan spoke to BBC News about the importance of accurate science in making the movie.